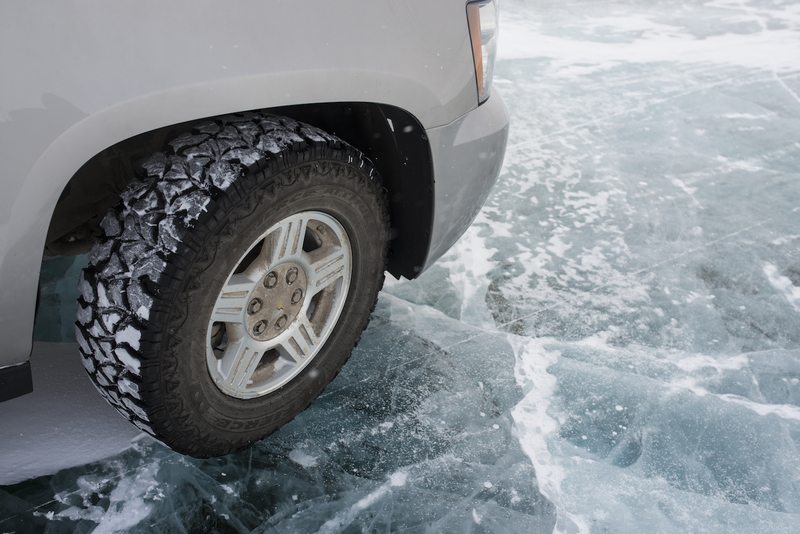 Wheels down on the ice road. 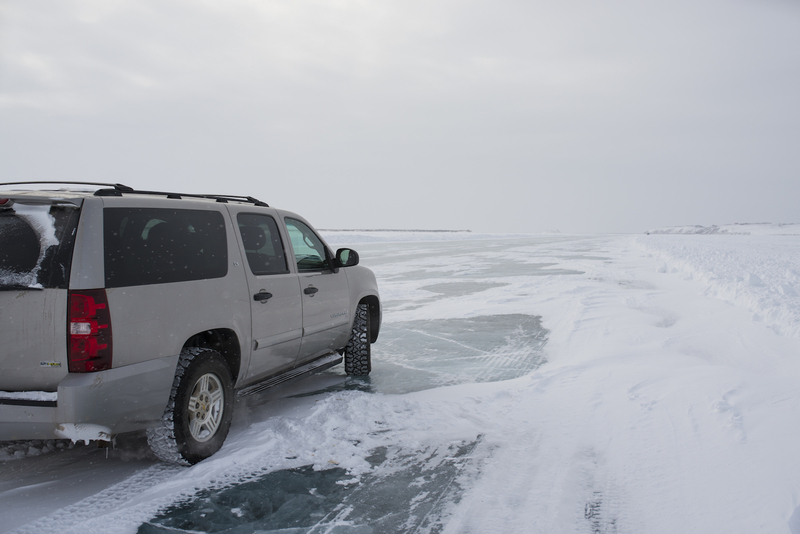 A car traverses an NW ice road. Drive carefully on one of the iciest (and most beautiful) roads on earth. 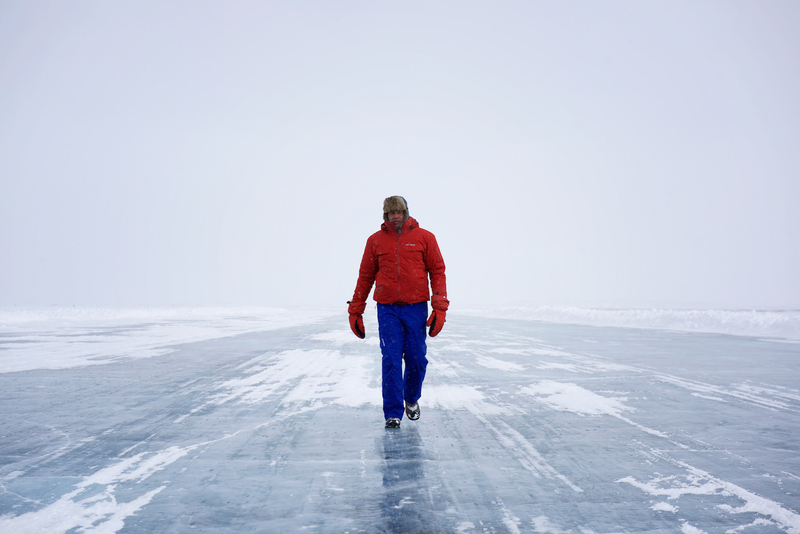 Embark on this winter road trip with Arctic Range Adventure and you will find yourself standing on top of the Arctic Ocean – frozen solid. Spanning eight days through Canada’s arctic terrain, you’ll head out from Whitehorse and trace the routes travelled by First Nations dogsledders on the remote Dempster Highway. Then, 1393 kilometres later, your tour finishes at the Inuvialuit village of Tuktoyaktuk, only accessible by the winter ice-road formed out of the confluence of the jarringly solid Mackenzie River and Arctic Ocean. After spotting caribou and musk ox along the way, you’ll get a chance to speak with members of the local Inuit community, learning about their culture and traditional lifestyle. After a long day, you can look forward to ending every night of your trip marvelling at the multi-coloured waves of the Northern Lights as they illuminate the arctic night sky. 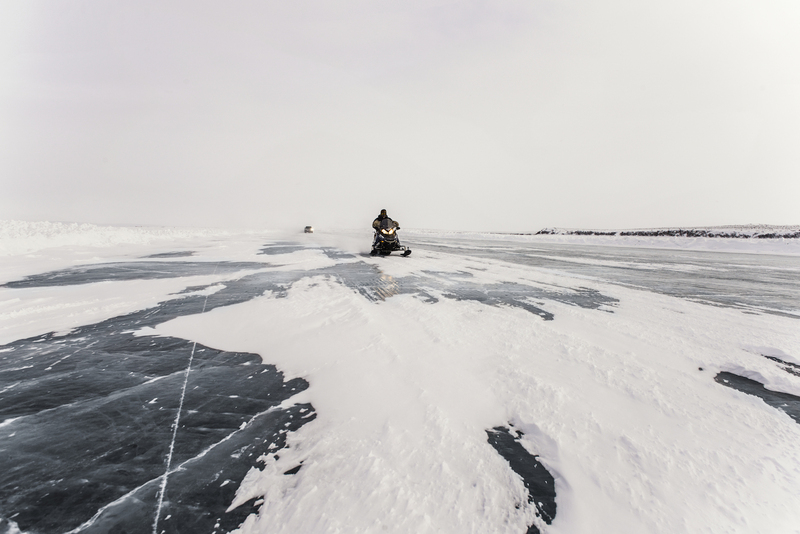 The ideal time for an Arctic Range Adventure Ice Road Tour (arcticrange.com) is in March and April, while the ice road is still solid but the days are tending towards warmer. More details, visit Travel Yukon. The tour begins in Whitehorse, Yukon, before passing through Dawson City, Eagle Plains, Fort McPherson, over the Arctic Circle crossing, then through Inuvik and on for another 120 kilometres or so to Tuktoyaktuk on the edge of the northern coast facing Kugmallit Bay.